Marantz has only one philosophy: "Because Music Matters." The Philosophy Behind Marantz’s unique sound Music is part of our everyday lives. Even in today s changing times where audio meets vision, music is the defining ingredient. It brings emotion to vision and puts the passion into our experiences. For Marantz, the realistic reproduction of music is the essential premise. they know that true hi-fi is about being able to reproduce the magic of a performance. It's about experiencing music just as the artist intended, even in the cinema. It is music that delivers the ecstasy and agony of a film's story. To Marantz, perfect specifications and technical accomplishment count for nothing unless a product can unlock the power, the excitement and the emotion of music. 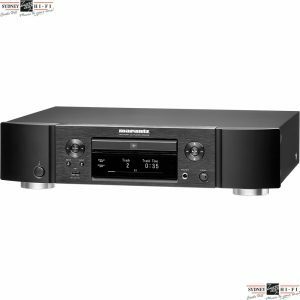 Sydney HiFi Castle Hill believes Marantz to be a true industry leader in audio visual industry, years of research and development along with continued passion have ensured you always get excellent value for money, cutting edge technology plus superb audio visual and Hi-Fi sound.